Under the heading “Duties of Grand Jury,” article 20.09 of the Texas Code of Criminal Procedure states, “[t]he grand jury shall inquire into all offenses liable to indictment of which any member may have knowledge, or of which they shall be informed by the attorney representing the State, or any other credible person.” (Emphasis added). See also Roberson v. Texas, 2004 WL 2817123 (Tex.App. – Houston [1st Dist.] 2004, pet. dism’d). My critics can argue about whether I am credible, but they cannot plausibly suggest that I did anything illegal or improper by reporting the evidence of Mr. Paxton’s crimes to the grand jury. Mr. Paxton’s spokesman, Anthony Holm, first began peddling the idea that my communications with grand jurors were illegal or unethical, but I ignored him. Mr. Holm is a political consultant, not a lawyer (although he is certainly a professional prevaricator, and he does seem to have a lot of expertise in public deception). 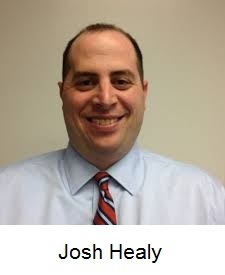 Mr. Healy, on the other hand, has no such excuse, because he is a lawyer who claims to know something about grand juries and criminal law. Likewise, Judge Chris Oldner and Judge John Roach, Jr. have no excuse for their ignorance of criminal law. Both of them signed orders targeted at me – albeit without mentioning my name – suggesting that they were sealing the names of grand jurors because “information was received outside the grand jury process and in violation of the laws of the [S]tate of Texas.” Emails that I obtained last week indicate that the sloppy orders were drafted by Collin County Assistant DAs Gayle Falco Leyko and John Rolater. You will recall that DA Greg Willis has been a personal friend of Mr. Paxton since college, they are business partners even now, and Mr. Willis had successfully blocked the investigation of Mr. Paxton until a rogue grand jury finally forced his recusal. Interestingly, some language from those orders made its way into Mr. Holm’s guest column in the Austin American-Statesman, where he railed against me (albeit without mentioning my name) for my communications with the grand jury. Specifically, he quoted the orders’ manifestly false statement suggesting that I had broken the law. I have to wonder whether Mr. Paxton had his college buddy, Mr. Willis, put that false statement in the orders so Mr. Holm could then cite it as “proof” that I had done something wrong. Incidentally, I submitted a letter and public information request to Mr. Willis, Judge Oldner, and Judge Roach on July 13, 2015 seeking “[a]ll correspondence, documents, or records (e.g., memoranda) explaining how sending information to a grand juror is a ‘violation of the laws of the [S]tate of Texas.’” In his July 27, 2015 letter, Mr. Dobiyanski admitted that the DA’s office had no such documents. In other words, the DA cannot point to anything suggesting that it was illegal for me to contact the grand jury. My July 13 letter also requested copies of documents that would show who asked the judges to sign the orders sealing the names of grand jurors. The documents provided by Mr. Dobiyanksi do not answer that question, but at least he responded. Judge Oldner and Judge Roach still have not responded, even though Rule 12 of the Texas Rules of Judicial Administration required them to answer not later than July 27, 2015. I suppose I will have to appeal. Unfortunately, I am quite accustomed to dealing with judges who flout the law, and I would expect no better in Collin County, where lawlessness and dirty politics are a courthouse tradition. As I explained in my July 14 and July 15 posts, the Paxton case is just the latest example of a long-running war against grand jury independence. According to the law, grand jurors are supposed to be free from the control of judges and prosecutors. Judges and prosecutors do not like that law, however, and for obvious reasons. The political class and the courthouse establishment do not want twelve average citizens asking inconvenient questions about the political class and the courthouse establishment. That is particularly true in the Paxton matter, where an expanded investigation into certain real estate transactions would likely ensnare Collin County District Attorney Greg Willis and other courthouse officials as well as Mr. Paxton. As I’ve documented repeatedly on this blog, Mr. Willis’s staff has gone to extraordinary lengths to keep anyone from investigating Mr. Paxton (see, e.g., the latter half of my June 1 blog post under the subheading “SETTING THE RECORD STRAIGHT”). And even though Mr. Willis lost control of the securities investigation, his assistants are still fighting to keep the grand jurors from learning about the real estate transactions. 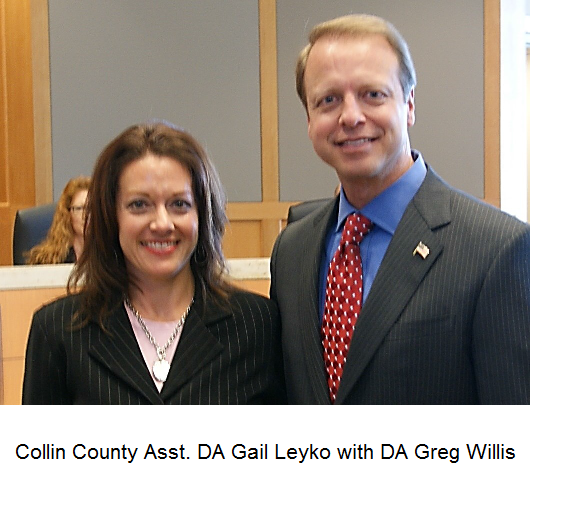 On July 15, for example, I reported that the Lone Star Project sent a letter to the grand jury regarding one of those transactions in care of Assistant DA Gayle Falco Leyko, but she never delivered the letter to the grand jurors. According to Mr. Dobiyanski, the letter had instead been delivered to Brian Wice and Kent Shaffer, the special prosecutors handling the securities case, as well as the Texas Rangers. The problem? Mr. Wice’s and Mr. Shaffer’s appointment is limited to Mr. Paxton’s violations of the Texas Securities Act, therefore they have no jurisdiction over other matters. And Mr. Dobiyanski already knows that DPS policy prohibits the Rangers from investigating a public official unless the local DA commits in writing to prosecute any crimes that they discover. In other words, the Rangers will not investigate the real estate transactions unless Mr. Willis either recuses himself or agrees in writing to prosecute himself and Mr. Paxton. I know Mr. Willis has not recused himself, and I doubt seriously that he has agreed to prosecute himself. Even so, there is a more basic problem. The Lone Star Project’s letter was intended for the grand jury, not Mr. Wice, Mr. Shaffer, or the Texas Rangers. Prosecutors should not take it upon themselves to divert the grand jury’s mail elsewhere. Last night, one of my friends made an interesting comparison between the reaction to my grand jury communications and the reaction to the Center for Medical Progress’s undercover videos of Planned Parenthood. Never mind whether those bloody savages at Planned Parenthood are carving up babies to sell their organs, the pro-abortion crowd wants us to focus on whether the Center for Medical Progress did something illegal by secretly recording the conversations. And never mind whether Ken Paxton actually committed a crime, Mr. Holm, Michael Quinn Sullivan, and Tony McDonald want us to focus on whether someone broke the law by reporting him to the grand jury. Contrary to what Mr. Holm, Mr. Sullivan and Mr. McDonald want us to believe, the case against Mr. Paxton has very little in common with the case against former Governor Rick Perry or University of Texas Regent Wallace Hall. Both Gov. Perry and Mr. Hall were targeted for political decisions that they made while acting in an official capacity (and I have been critical of the Perry indictment from the outset). Gov. Perry said very little about the special prosecutor assigned to his case, he hired some of the best lawyers in Texas, and he has already knocked out one of the charges. Contrast that with Mr. Paxton, who hired a trash-talking political consultant and sent him out on a smear campaign. That alone speaks volumes. Then again, there’s only so much a lawyer can do when his client has admitted in writing and under oath that he broke the law. How would someone find out if a package prepared by your attorney actually made it to a Grand Jury? I wish everyone would read your blog! Perhaps you could do an explaination of how a Grand Jury is selected in Texas and who selects those who serve on a Grand Jury.